Located in the hustle and bustle of the famous Armour Street junction The Biryani Restaurant is offering authentic and sumptuous dining at what it styles itself as the first and only biryani specialised restaurant in Sri Lanka. It offers an authentic traditional range of Indian biryani from different states of India prepared with top quality basmati rice, fresh and correct quantity of spices, and using traditional methods of cooking biryani passed over by father to son over generations in India. The restaurant upstairs offering seating capacity for 120 people is absolutely spotless, patrons are surprised to discover a five-star clean, and well maintained restaurant. Ground floor offers take-away service. 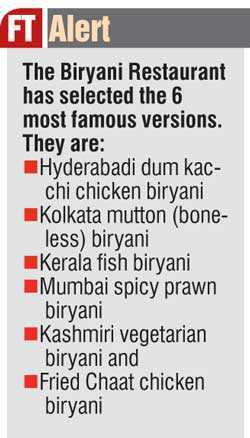 According to Ray, whilst India has 59 versions of biryani, and three main methods of cooking biryani (Dum Kacchi method/Dum Pakki method and cooking in stock method, The Biryani Restaurant has selected the six most famous versions. 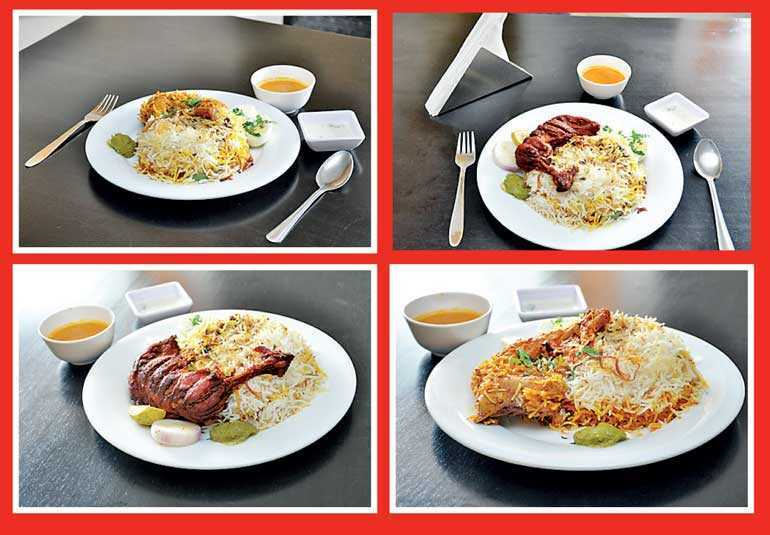 They are Hyderabadi dum kacchi chicken biryani, Kolkata mutton (boneless) biryani, Kerala fish biryani, Mumbai spicy prawn biryani, Kashmiri vegetarian biryani and Fried Chaat chicken biryani. Ray adds that biryani is a healthy and wholesome meal with carbohydrates and protein. The Biriyani Restaurant is located at 33 Armour Street Junction, Colombo 12. Tel 0112440339. It is open seven days a week, including public holidays. Lunch is served from 11 a.m. to 3 p.m. and dinner from 5:30 p.m. to 9:30 p.m. The restaurant offers both eat-in and take away.